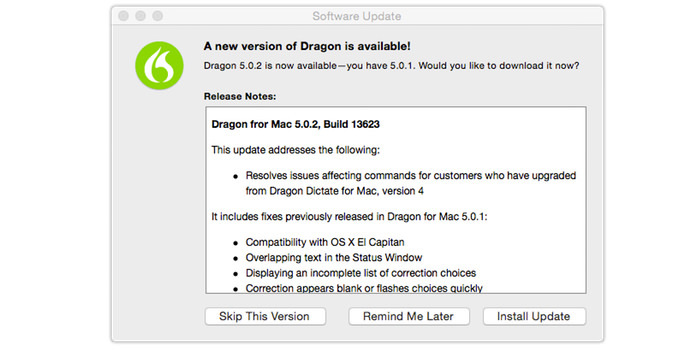 Dragon Dictate 5 has been a part of my workflow since it’s release. Granted there’s a few features missing from it’s windows counterpart, transcription still needs working on but none the less it’s an improvement over 4. 5.0.2 brings fuller El-Cap compatibility and the correction choices window is now properly displayed.